[map] [street view] Studio and transmitter are co-located just off US 90 in Pace, just west of Milton. [Picture] Image of an Insignia HD portable with RDS data decoding the PI (call sign) and Radio Text fields. 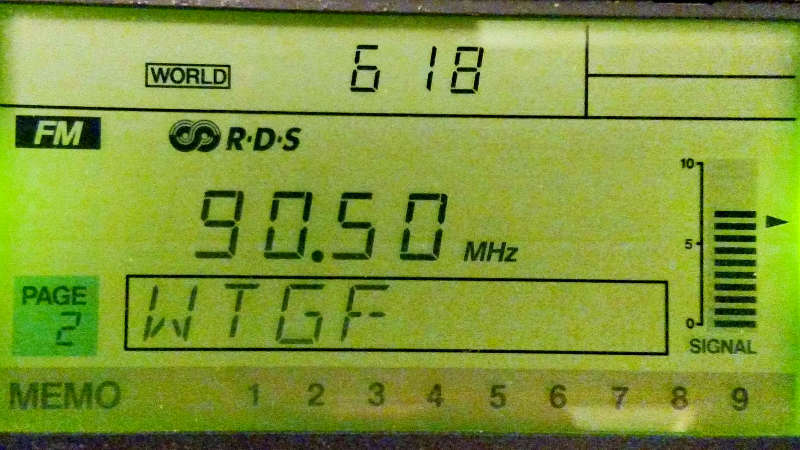 [Picture] Image of a Radio Shack DX-398 RDS display showing the PS (call sign) field. This station received its initial construction permit in December of 1992, and signed on in 1994. 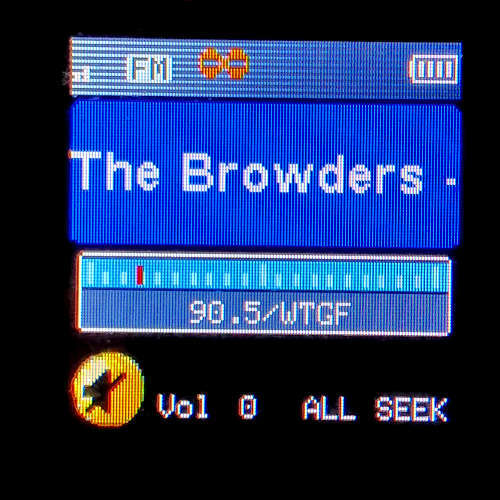 The calls have always been WTGF (Where Truth Goes Forth). The station failed to renew its license and had it cancelled in August of 2004, but it was re-instated later that same year. The station has broadcast in mono since its inception until some time in the winter or spring of 2017, when they finally "went stereo".